Η Ford επέλεξε να χρησιμοποιήσει ρομπότ αντί άνθρωπο, για να δοκιμάσει την αντοχή του Transit. Οι δοκιμές γίνονται στη πίστα δοκιμών της Ford στο Michigan με την μπλε οβάλ να επιλέγει την λύση αυτή ώστε να διεξάγει περισσότερα τεστ αντοχής μέσα σε μια ημέρα, αλλά και δοκιμές που δεν θα ήταν ασφαλής αν οδηγούσε το αυτοκίνητο άνθρωπος. DEARBORN, mich., June 15, 2013 – Ford engineers have developed the industry’s first robotic test driving program – now in use at the company’s Michigan Proving Grounds in Romeo, Mich. – to meet demands that Ford trucks undergo ever more strenuous Built Ford Tough testing with greater frequency. 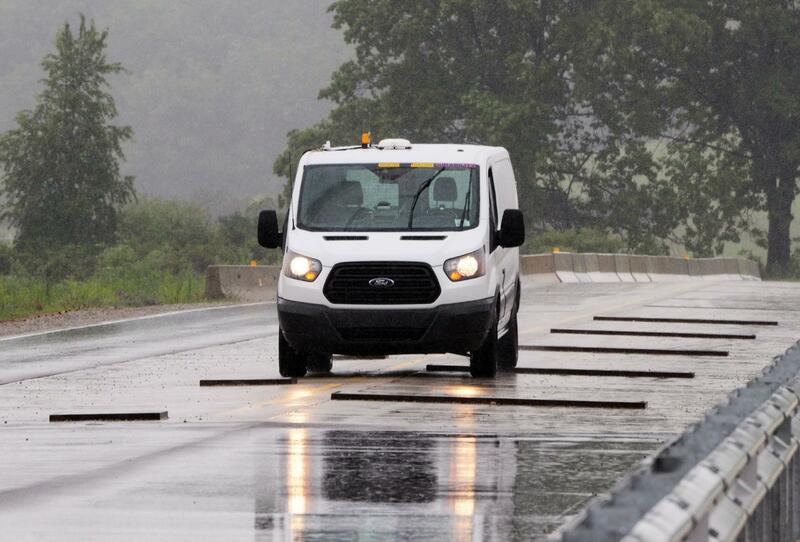 The pilot program has been used most recently for durability testing of Ford’s all-new full-size Transit van, which launches in 2014. “Some of the tests we do on our commercial trucks for North America are so strenuous that we limit the exposure time for human drivers,” says Dave Payne, manager, vehicle development operations. “The challenge is completing testing to meet vehicle development time lines while keeping our drivers comfortable. The durability technology includes a robotic control module installed in the test vehicle that controls vehicle steering, acceleration and braking. 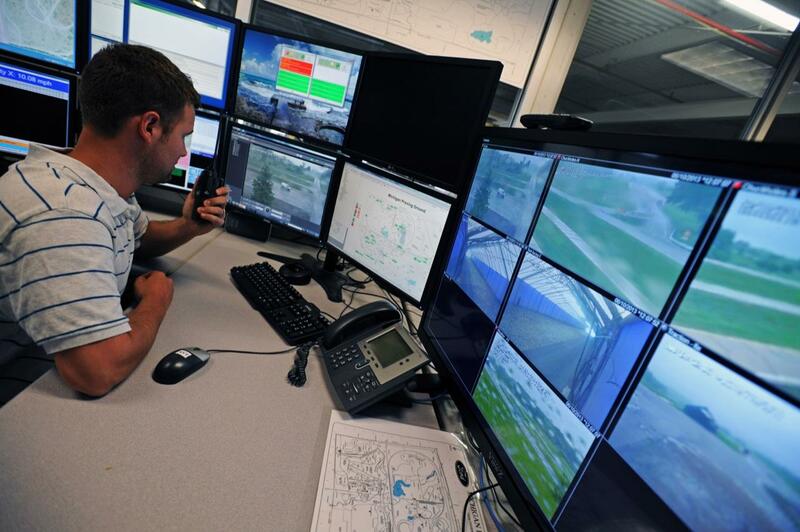 The module is set to follow a preprogrammed course, and the vehicle’s position is tracked via cameras in a central control room and GPS accurate to plus/minus one inch. Should the vehicle stray from its programmed course, engineers have the ability to stop the vehicle, course correct as necessary, and restart the test. Onboard sensors can command a full stop if a pedestrian or another vehicle strays into the path. The robotically driven vehicles are expected to repeatedly perform tests on torturous surfaces with names like Silver Creek, Power Hop Hill and Curb Your Enthusiasm. The tests can compress 10 years of daily driving abuse into courses just a few hundred yards long, with surfaces that include broken concrete, cobblestones, metal grates, rough gravel, mud pits and oversized speed bumps. All North American Ford trucks must pass this battery of durability tests before they’re certified for customer use. Until now, testing speeds and repetitions for specific scenarios were limited due to restrictions placed on human drivers, who were allowed to drive certain rigorous courses only once a day. The use of robots now accelerates this testing, allowing an unlimited number of repeats until Ford engineers are satisfied with the results. 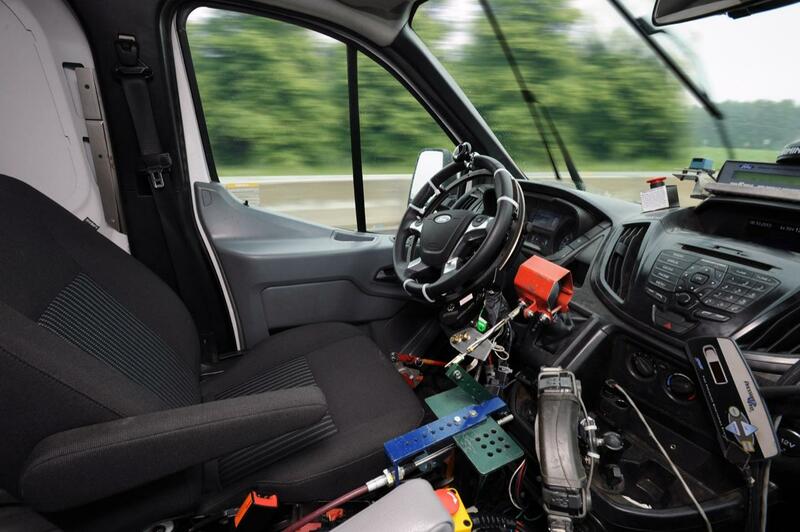 Robots also allow Ford to develop even more challenging durability tests to build tougher trucks. Ford engineers worked with Utah-based Autonomous Solutions Inc. to design and manufacture the software and components that enable autonomous, robotic operation of the test vehicle. 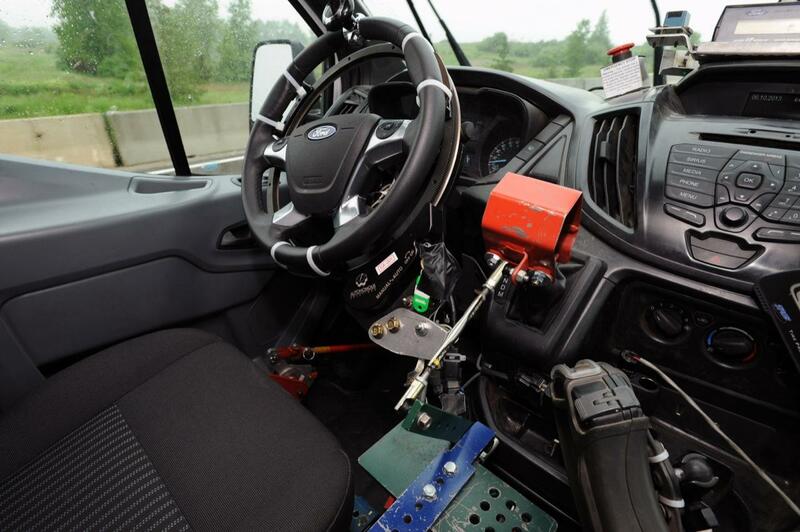 Ford engineers designed and deployed the robotic technology with two goals in mind: protecting human drivers and engineering Ford trucks to be tougher than ever.